Chiefs from the James Smith Cree Nation say they plan to stop a proposed diamond mine near Prince Albert, Sask. unless the company provides more benefits to the community. Leaders from the James Smith Cree Nation say they plan to stop a proposed diamond mine near Prince Albert, Sask., unless the mining company provides more benefits to the community. The Star-Orion Diamond Project, which would cover 9,200 hectares in the Fort à la Corne forest, recently passed an environmental assessment. The Star Diamond company project only needs a few more permits to begin operating. The mine would be located near the First Nation, which is about 60 kilometres east of Prince Albert. In 2015, the environment ministry issued a report which outlined impacts to the area. The report stated that archeological evidence indicates the forest and surrounding area were used by First Nations people "for social interaction, religious ceremonies and as a source of plants and animals." The province said it has fulfilled its duty to consult but the James Smith Cree Nation announced yesterday it plans to fight the project unless the company negotiates a benefit agreement. "The way things stand, everyone else gets the benefits of a mine, while we are left with all the consequences," said Chief Wally Burns. "There will be no mine until our people's interests are satisfied." Star Diamond responded with an emailed statement on Friday. "Opportunities for Aboriginal people and other people in the area will be created through direct employment by the project through a representative workforce, and indirectly by creating local contractor and business relationships through the proponent's local procurement policy," said the statement. "As well, employment and business opportunities will be created indirectly as a result of increased economic activity resulting from the project." James Smith Cree Nation spokesperson Winston McLean said negotiations with Star Diamond broke down months ago. He said the chiefs want the company to negotiate an impact benefit agreement that can be taken back to the community for its members to vote on. "I think the investors and these companies should take a good hard look at the future of this thing. If we're not happy, the project becomes questionable," said McLean. He would not say how the First Nation plans to stop the project if that agreement cannot be negotiated. 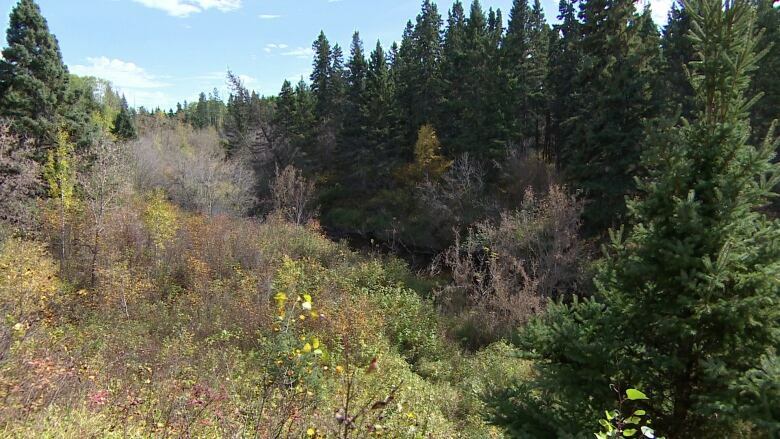 McLean said the future of a sacred site is also among the Cree Nation's concerns. "We call it Shining Hill and it's a place where people have gone for ceremonies for time immemorial, really," said McLean. The 2015 environment ministry report also said that the "excavation of the Star pit would result in the removal of Spy Hill, identified as a sacred site" in a traditional land use study conducted for the James Smith Cree Nation. According to a release from the government, the mine will employ 700 people at full operation. The company, which is working with mining giant Rio Tinto on the development, says the project has the potential to generate "billions" in corporate revenue, taxes and royalties. "As part of their responsibilities, the Government of Saskatchewan consulted with local First Nations and Métis communities and has developed accommodations that will address potential adverse impacts to Treaty rights and traditional uses," said the statement from Star Diamond. An agreement outlining jobs targets will also be a condition of approval from the province. The provincial environmental approval says "The proponent [Star Diamond] shall enter into a Surface Lease and Human Resource Development Agreement with the province that maximizes training, jobs and business opportunities for James Smith Cree Nation." That has to be done "in a transparent and measurable manner," the approval says. "Terms shall include targets for employment, training, job advancement opportunities, compensation for direct income loss, and community business benefits." The province says that agreement will need to be made during the lease application stage of the development. The company will also have to fund one member of the James Smith Cree Nation to take a two-year environmental monitoring or technical sciences diploma. The same funding will have to be provided every five years for the life of the project.